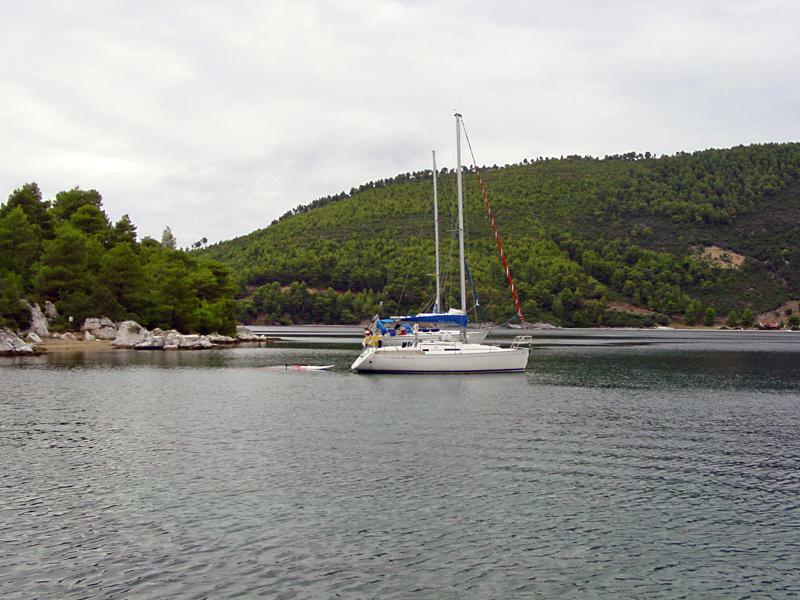 The islands of the Northern Sporades offer - especially outside the main season of August - tranquillity and an abundance of nature, and is therefore a welcome destination for bareboat charterers as well as the luxurious fully crewed super yachts or mega yachts, even if these waters in the north Aegean are well away from the normal shipping routes. For this very reason gulets (goulettes), the traditional vessels of the east Aegean are rarely found so far north. Most of these luxurious crewed charter yachts can be found in their home waters near Bodrum, Samos, Kos, Rhodes, Marmaris and Fethiye, along the Dodecanese and the Turkish coasts of Ionia, Lycia and Caria. Contrary to the bareboat or flotilla yachts the crewed sailing yachts will come with a skipper, hostess and of course a chef cook. But instead of doing your own cooking on your bareboat trip, you can nearly everywhere find local tavernas at reasonable prices. The typical 30-50ft bareboat yachts (see the photo) can of course also be rented with an extra skipper or instructor. Be sure to calculate a cabin for him or her as well, and preferably also a second toilet/shower unit for additional privacy. Please read the award-winning yacht charter guide. The photo shows the southern arm of the Panormos anchorage on Skopelos looking north, the entrance is the left just out of sight.